Behind a great harness is an amazing adventurecat. Wessie is our feline representative. He has been with us since 2008. Wessie surely seems to love the outdoors. Back in the early days, Wessie had great times outside, running through the grass, climbing fences, and bothering at least one neighbor. That was before something of a misunderstanding lead to a small misfortune. Wessie was involved in what you might call a shootout, a unilateral duel, or a minor gunfight. That’s when Wessie became housebound. It wasn’t that living inside was so bad – Wessie wasn’t always staring out of the windows and attempting door escapes, but sometimes he did engage in those sad activities. And that was a problem. We’d experimented with harness design before. In those days, the experimentation was out of curiosity. After Wessie’s injury and the resulting need to keep him inside, designing the perfect cat harness became a necessity. Various designs were experimented with before we landed on the adventurous Petoodles design. In 2012, Petoodles cat harnesses hit the market. The same year, we moved to our new Petoodles Headquarters in the lush forest of Northwestern Montana. Here at Petoodles Headquarters, we share a lot of time with Wessie, wandering through the woods, enjoying the warmth of sunshine and breathing in cool air. He loves sharpening his claws on tree bark, leaping into bushes in pursuit of rodents, and relaxing in the shade of evergreen trees. In 2014, our harnesses reached an international market, reaching others from around the world and helping them to live fearlessly. Today, we hope to help others let go of their fear, just like we have. We believe that you and your cat were born explorers. Our mission is to encourage people and their cats to liberate their natural instincts. 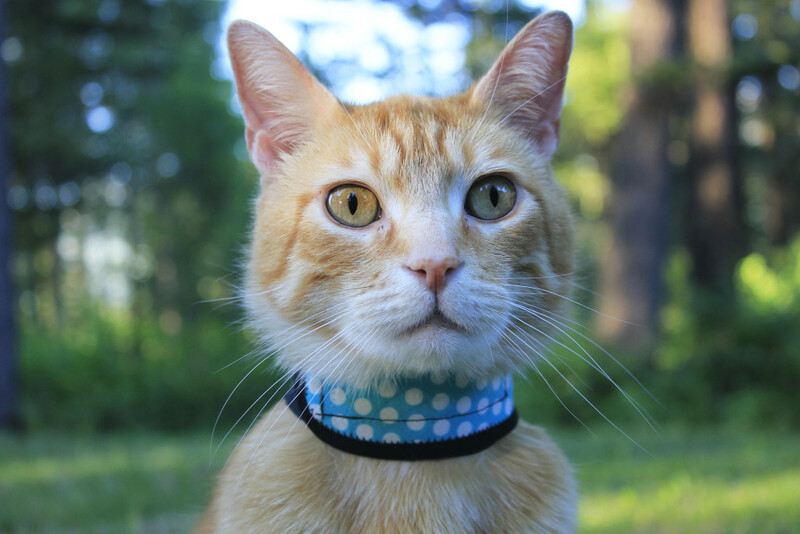 That’s why we’ve designed a harness that is as comfortable as the grass under your paws and the breeze running through your fur, one that allows cat and human to connect with nature and one another.